Shop our mattress sales and specials today! 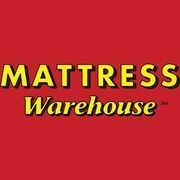 Rate and review Mattress Warehouse of Brick - Market Square in Brick Township, NJ, United States! Share your experiences at Mattress Warehouse of Brick - Market Square with your friends or discover more Furniture Stores in Brick Township, NJ, United States.